Deer in Northern Michigan are eating certain trees faster than they can grow. Mike Walters is a forest ecologist with Michigan State University. He’s standing on state land just north of Petoskey. Most of the trees that tower overhead here are sugar maples, about 100 years old. But in the understory, where the young trees are coming up, there are almost none. “The deer have eliminated the sugar maple seedlings in many areas,” he says. Instead, there is an abundance of beech trees. Deer don’t like to eat beech or ironwood trees. Walters is doing a research project on more than 100 forest sites like this in Michigan, and he says this forest is not unusual. “This isn’t the ringer site that I took you to or the only place where beech dominates the understory. This is really an incredibly common occurrence in these forests,” he says. Walters isn’t just worried about sugar maples, although they are important. He says healthy forests need a mix of tree species, not just one or two. Diversity makes forests more resilient against problems like diseases and insects. 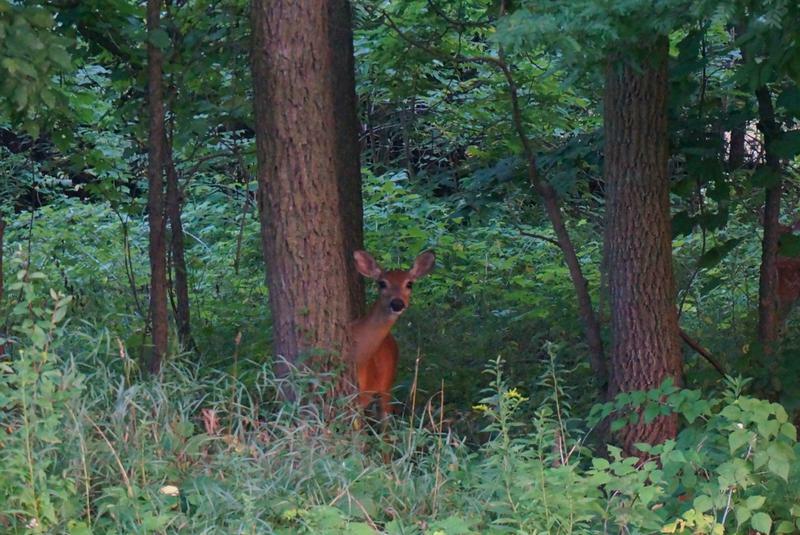 But deer are slowly eliminating certain kinds of trees from northern forests, like maples, oak, cedar and aspen. Don Waller is a botanist at the University of Wisconsin. “We’re seeing a forest that’s being transformed before our eyes,” he says. Waller says the kinds of trees that do well are ones deer don’t like, such as spruces and firs. “If that continues, and it certainly has been now continuing for a period of at least 20 or 30 years, we completely change the character of the Northwoods forests,” he says. One reason there are so many deer in Michigan is because hunters like it that way. And rules for hunting are often designed to keep deer abundant. So the group of people that could reduce the number of deer in northern forests would rather see more deer there. “It’s an irony, hunters like to hunt of course, but they like to hunt in conditions where there are many deer and where they can choose which deer to shoot,” says Waller. Waller says the problems in northern forests have become serious enough now that deer are starting to suffer from a lack of food. But Ashley Autenreith does not think that is happening in Michigan. She’s a wildlife biologist with the Michigan Department of Natural Resources. “Of course, there are areas that have been over-browsed, that’s no secret, but on a larger scale I don’t actually think that that has occurred,” she says. Back in Emmet County, Mike Walters is trying to figure out if Michigan can have its cake and eat it too: that is, have a lot of deer and forests with a diverse mix of tree species. His crew is marking trees that will eventually be logged but in unusual ways that they hope will allow more seedlings to sprout. They will also tear up the ground in some places and even use chemicals to stop other plants from choking out young trees. Walters says it might not look pretty. “But we are to a point with some of these managed forests with the decline in diversity in the overstory and the steep decline in the diversity and quality of the understory that we have to do something,” he says. Walters says it will take about ten years before they can see the results of these experiments. But he thinks this is the only answer, since it is unlikely that Michigan will try to reduce the number of deer in the Northwoods anytime soon. Archery season for deer started over the weekend, and that means state officials are gearing up to test more deer for chronic wasting disease. The disease is contagious, and it’s always fatal for the animals. It creates tiny holes in their brains, and deer get very skinny and start acting strange. 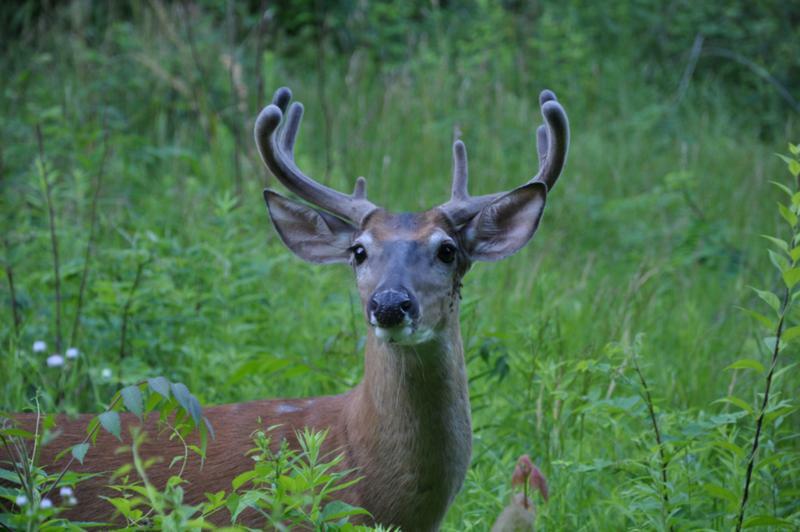 Since it was first found in wild deer in Michigan last year, seven deer have tested positive, with an 8th case suspected. 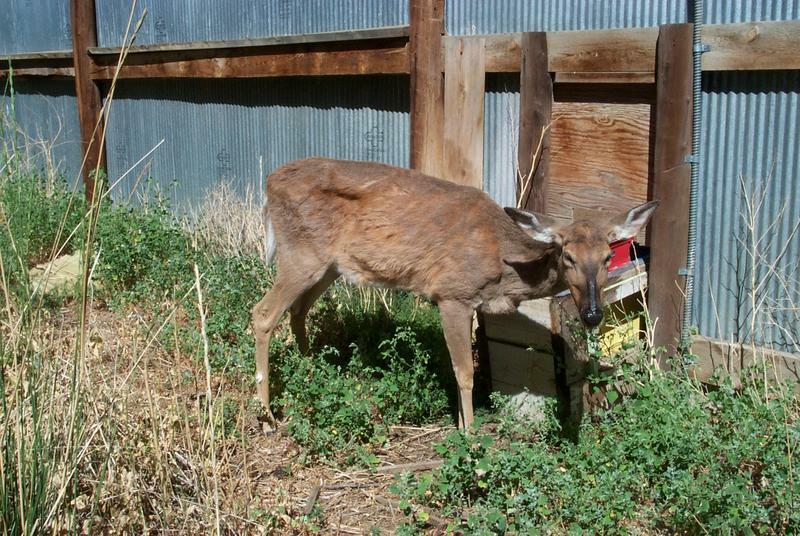 Chronic wasting disease is a fatal neurological disease that affects deer. The State Department of Natural Resources is concerned about the spread of CWD through Michigan's deer population.